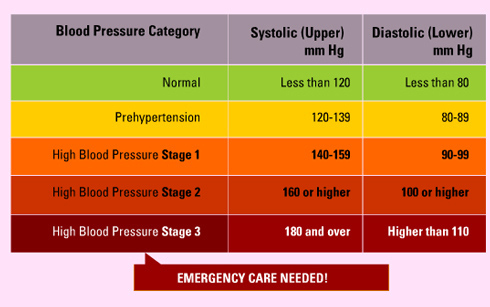 What complications can result from High Blood Pressure? Over time, if not treated, can increase your risk of a heart attack, stroke and kidney disease. We have dealt with Heart Diseases in details Here. It can also result in embolism, aneurysm and kidney disease. Prolonged High Blood Pressure can also damage the small blood vessels in your kidneys and stop them from working properly. This usually results in tiredness, swollen ankles, feet or hands (due to water retention), shortness of breath, blood in your urine, urinating more often, particularly at night and itchy skin. Kidney disease can be treated using a combination of medication and food supplements.